My wife and I are very grateful for the continued support we have received in raising awareness about pregnancy and infant loss from family and friends, various organizations and random strangers this year again. Our biggest thanks go to our family and close friends who keep remembering our boys with us. It means the world to us that you are speaking their names and talk to us about them. 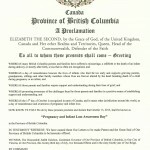 Our request to the BC provincial government was supported by our local MLA David Eby and approved a few weeks ago. 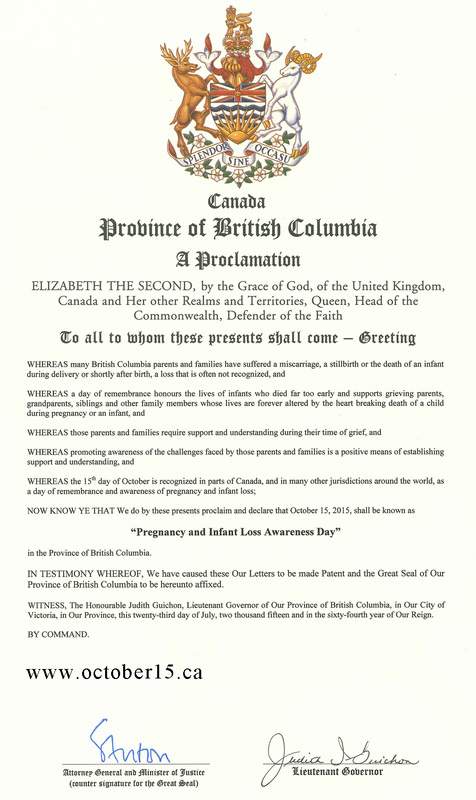 October 15, 2015 has officially been recognized in British Columbia as Pregnancy and Infant Loss Awareness Day. Thank you. 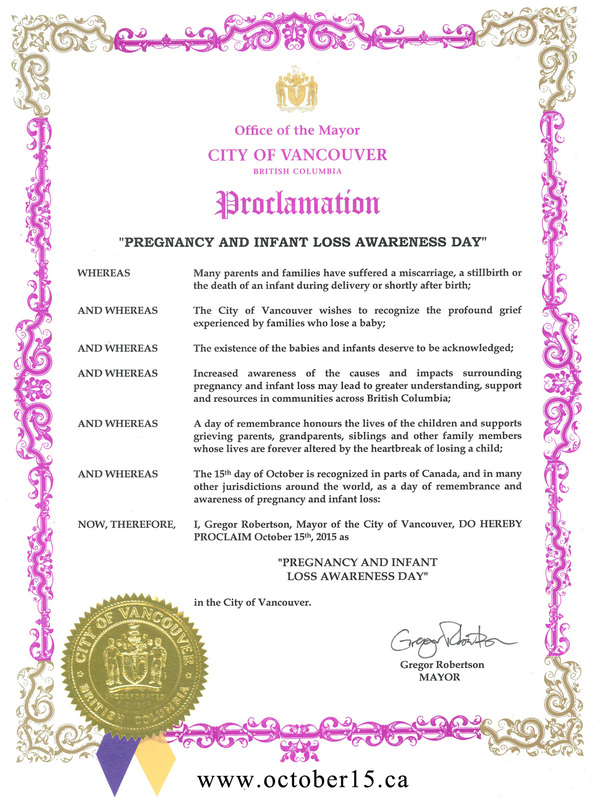 Similarly, our request to the City of Vancouver was approved by our major and the city has recognized the day for the second year. Thank you for this important recognition. 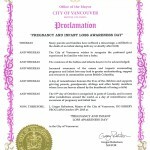 BC Place Stadium will support our efforts for the third year in 2015 and illuminate the stadium in pink and blue on the awareness day. Thank you for setting such a visible sign on this day. I know it means a lot to many families. Thank you to the organizers of the National Association of Perinatal Social Workers conference who invited us to put together a panel of bereaved parents to share their stories with the conference attendees. An even bigger thank you to the panelists who courageously shared their heartbreaking stories in front of such a large audience. We would like to thank the journalists who have published several articles in local media about pregnancy and infant loss. We are honored that we were able to contribute to some of these articles. Last, but not least, I would like to thank everyone who supported our fundraising activity for the Cuddle Cot for St. Paul’s Hospital. The equipment will be ordered soon and once delivered support bereaved parents who are facing such a terrible tragedy. We hope that there are not going to be many occasions when the cot will have to be used. Thank you from the bottom of our hearts. Marlon and Tobias, all we do we do for you. Love you always and forever.